This is one of the easiest and cutest spring crafts I’ve seen in a long time (my friend Carol did this one). Grab some colored paper (preferably heavier than printer paper), paint, glitter, glue and muffin tin cups. 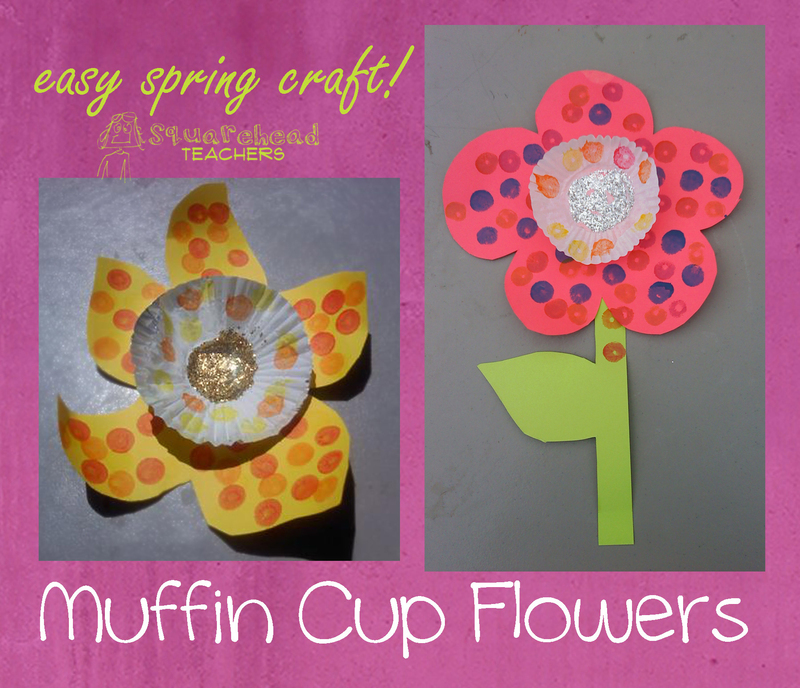 It’s as easy as you think it is: cut out a flower shape and glue a muffin tin cup to the center. Decorate the petals with paint, crayons, markers, etc. Glue some glitter to the center of the muffin cup and then attach your own paper stem. Easy-peasy, lemon squeezy! This entry was posted in Art/Crafts, Spring/Easter and tagged Art/Crafts, Children, Education, Elementary School, flower, Homeschool, Kids, spring, Teacher Resources, Teachers, Teaching by Squarehead Teachers. Bookmark the permalink. My mother-in-law used to teach preschool. When she quit she gave me tons of books and craft supplies. Muffin cups were among the craft supplies and I always wondered what she did with them. – Now I have at least one idea.